The trick to a long lasting liquid lining is a firm structure. All joints need to be solid void of movement. 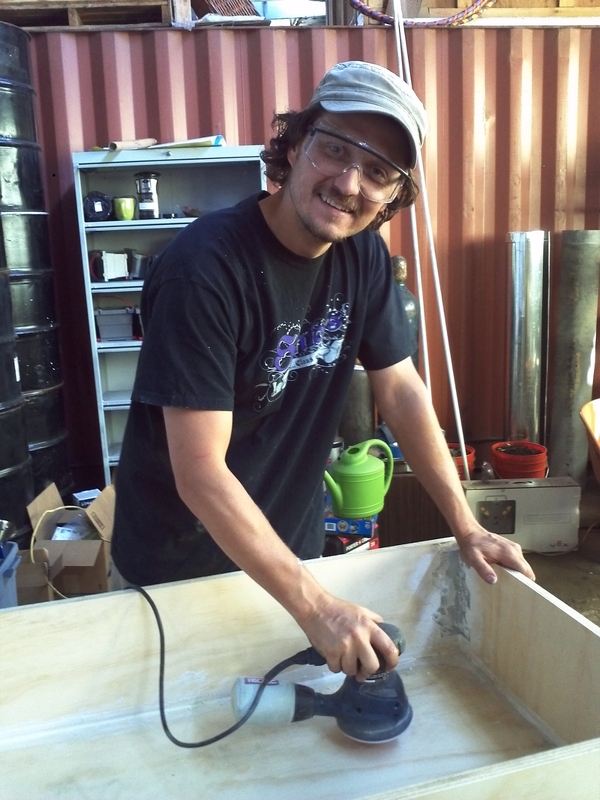 Remember that ‘acx’ – smooth exterior grade plywood that cost a fortune, well it works functionally now. 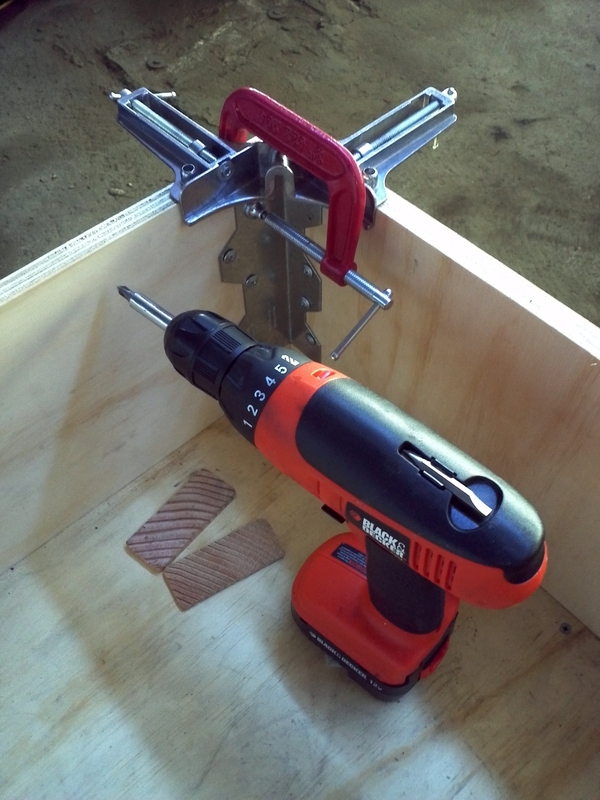 Finish any construction details like drilling holes before setting up a fiber glassing station. 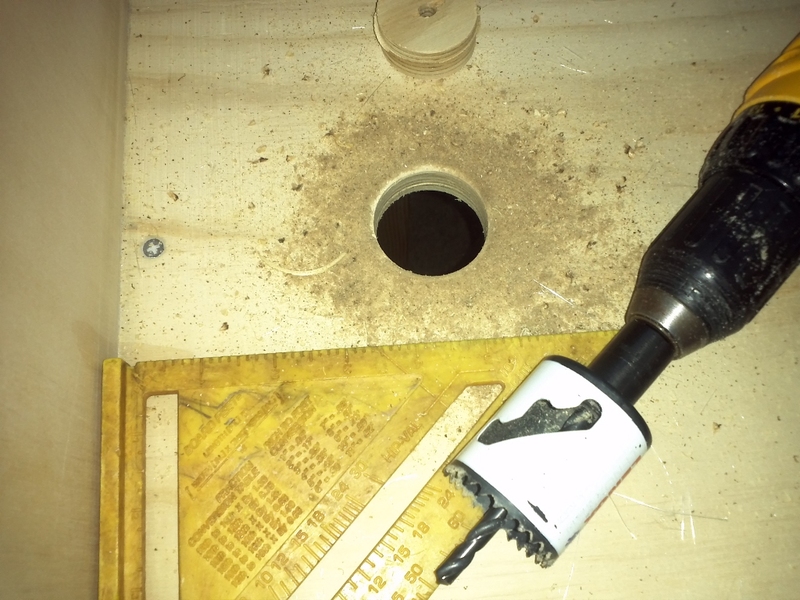 Drill the drainage hole for a 1″ bulk head kit adapter. 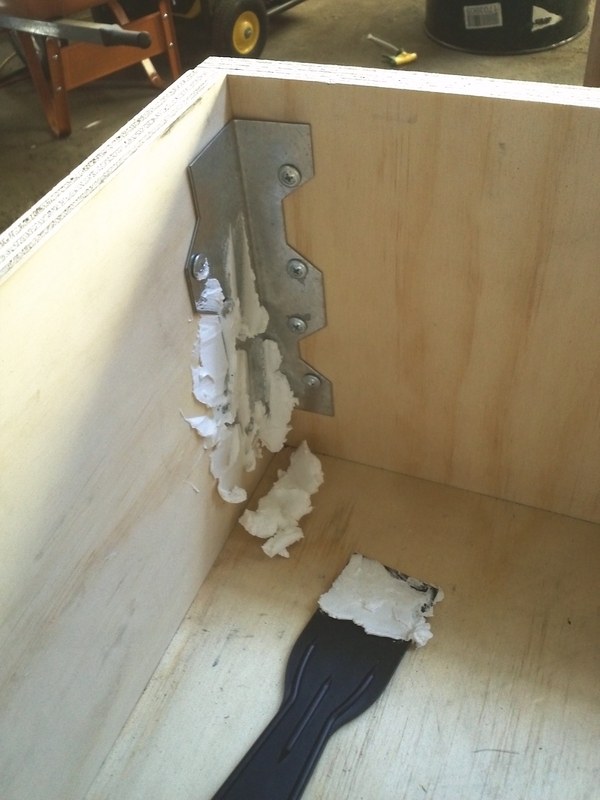 A hole diameter 1.25″, 5″ on the center line from the edge of the bed. Applying liquid liners is easier if all surfaces are smooth. Prepare uneven surfaces using sparkle. Get someone to sand the sparkle smooth for you when it dries up. They should also vacuum or brush all the dust particles away. 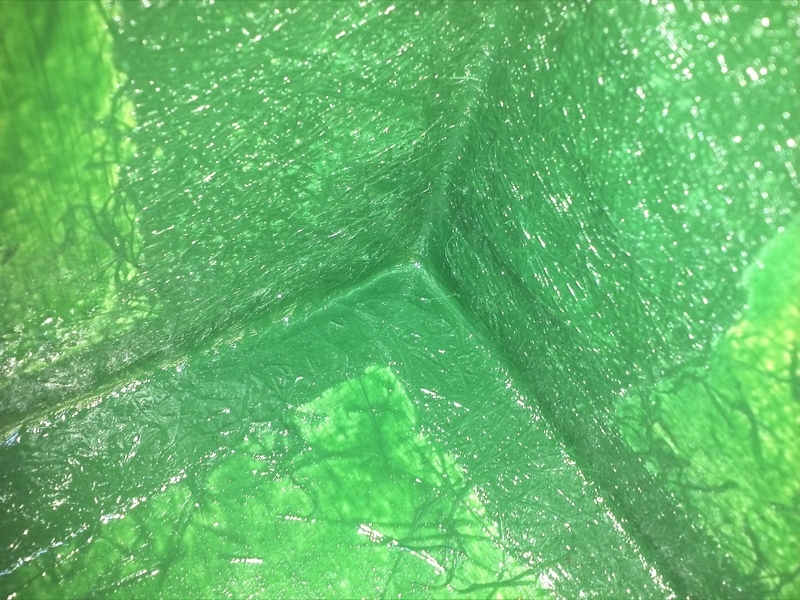 Get fiber glass matting from Home Depot or an auto dealer and cut into strips of 2″ wide, long enough to go around every edge inside the growbed. Get your fiber glassing station together. 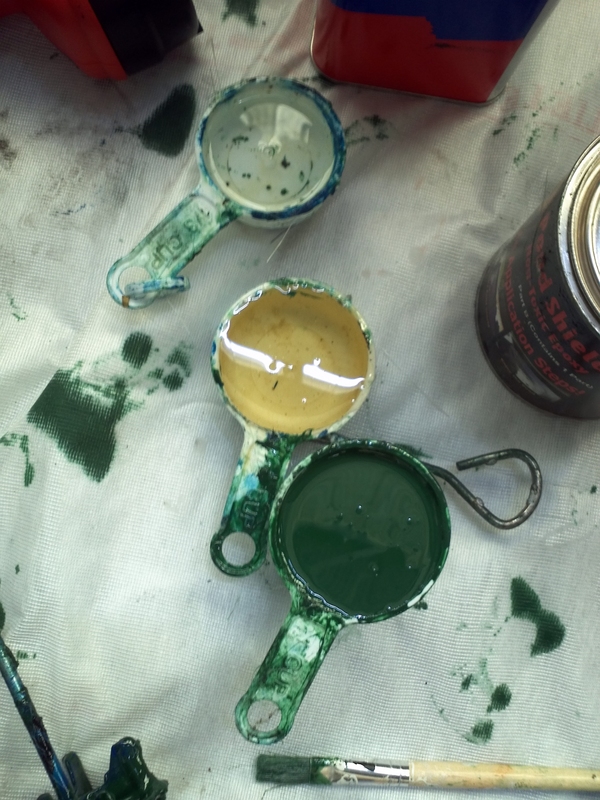 We modify the instructions by diluting the paint further to make it easier to work with. It is also safer to mix a little paint at a time. 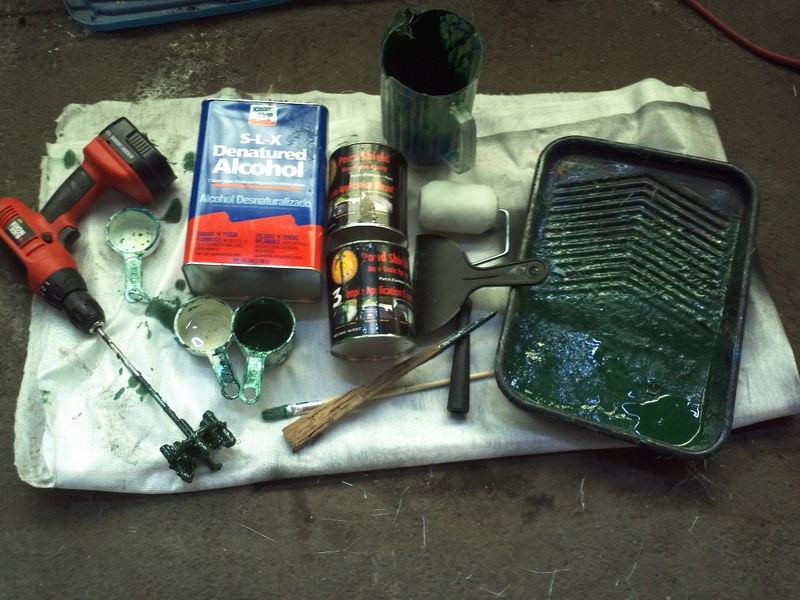 A mixture of 1 cup paint, 1/2 cup hardener, 2/3 cup of denatured alcohol is shown below. Mix slowly using a drill paint mixer attachment for less than 2 minutes in reverse. 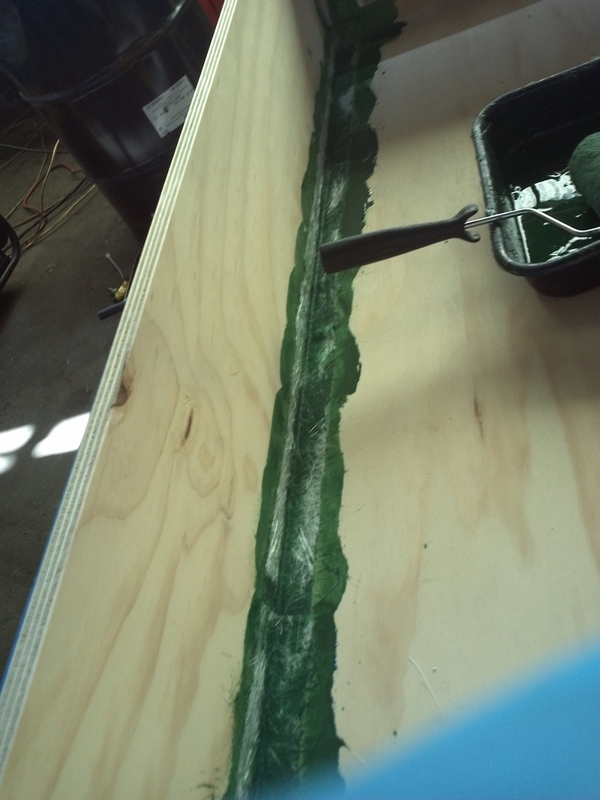 Using a roller (pour a little at a time) paint the corners, attach the fiber glass then paint over the fiberglass. 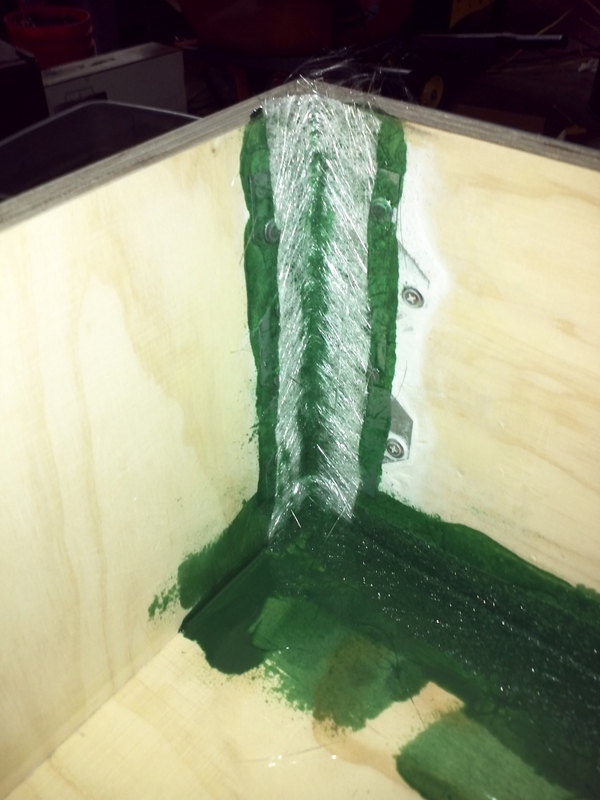 The idea is to saturate the fiberglass so there are no air pockets. 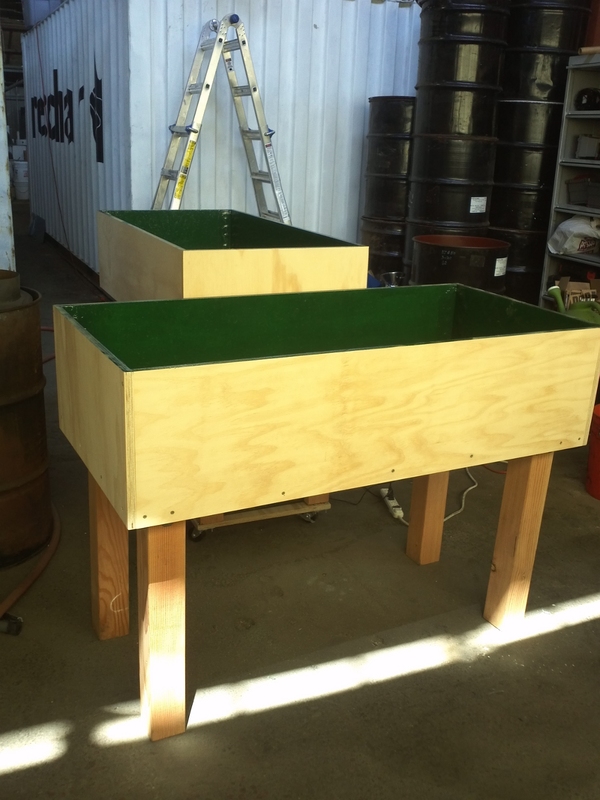 Paint the rest of the growbed when you are finished with the fiber glass. 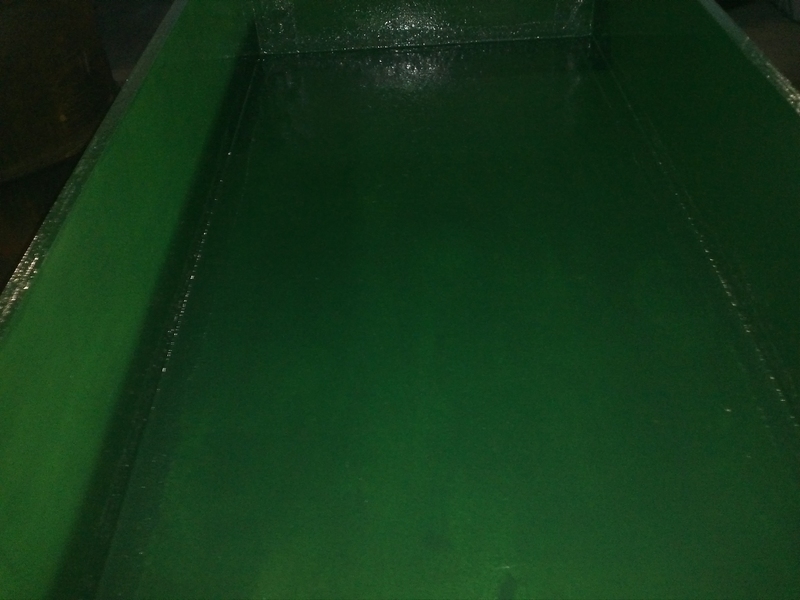 Let it dry, if more than 4 hours to dry, then you don’t need to sand the grow bed. We find it easier to let it dry then sand it before the application of another liquid rubber paint coat. 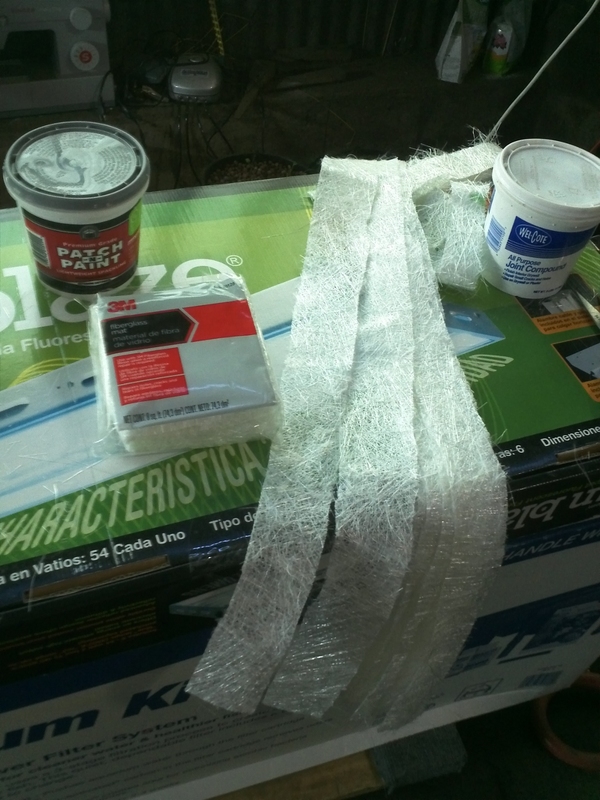 Get yourself something with long sleeves and use rubber bands at the wrist to reduce scratching from fiber glass. Also use a dust mask, goggles and perhaps some ear mufflers. You really need that electric sander. Sand away remember the idea is to knock of the shine and not to remove the paint lining. Vacuum or brush the dust away. Add another coat of liquid liner. 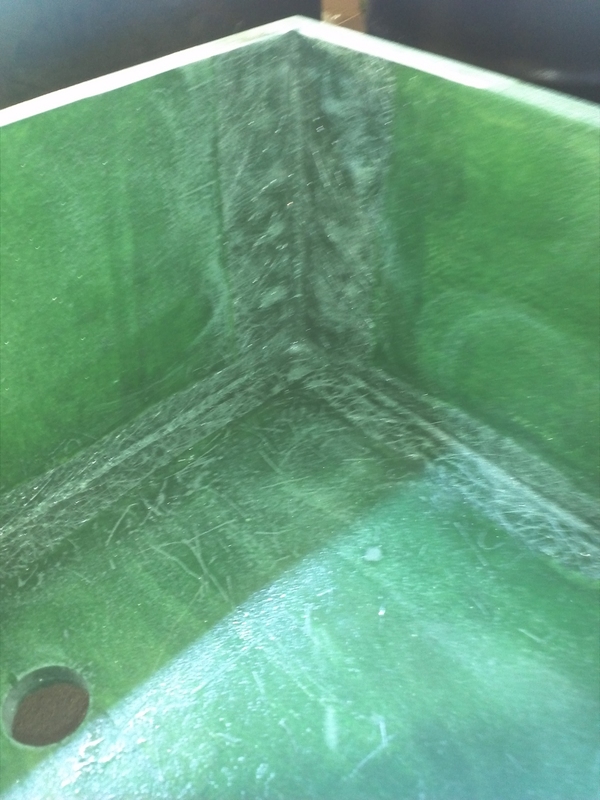 Pay attention to holes and air pockets on the fiber mat and corners. 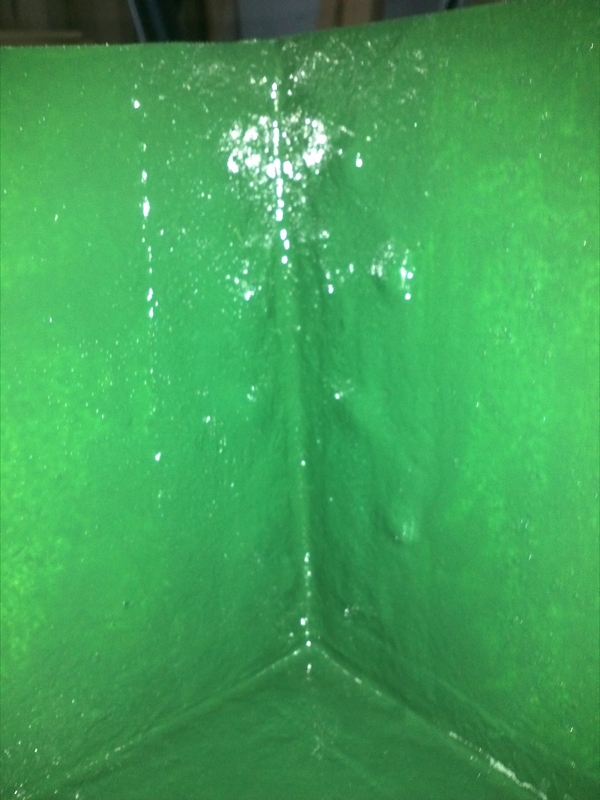 If you find any, over saturate or you will have to sand off air pocket and repair with fiber glass matting if hole is still visible. Add another coat, and it is starting to get together. Nice, smooth and even – no visible holes, air pockets, wood or metal. Finished bed. After a 3rd coat your fingers glide over it. Ahh I use Luke’s digital fabrication shop-in-a-box workshop you can see the rechar mobile work shop in the background.